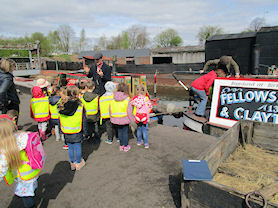 Year 1 had a very enjoyable day at the Black Country Museum. The trip provided a multitude of opportunities to enhance the children's learning of Houses and Homes in the past and present. The children engaged in a range of activities. 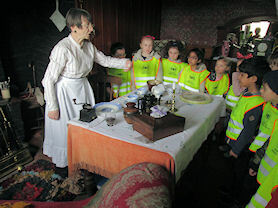 They had the opportunity to explore poor and rich houses from the Victorian times. 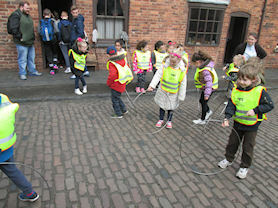 The children played traditional Victorian games such as the hoop and stick. As you may see from the pictures this was a lot of fun, especially in the beautiful sunshine! 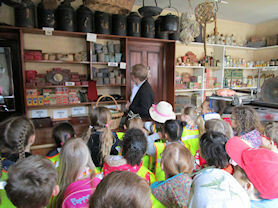 We also explored a typical Victorian high street by visiting a sweet shop, pharmacy and bakery. 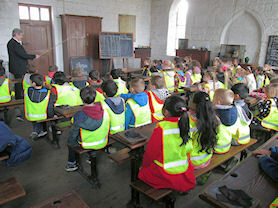 Even though the children were not at school they still received a Maths and English lesson from the Victorian era. All children managed to escape the cane and decided that they much prefer learning at Maney Hill! The children's behaviour and manners were impeccable all day and they were a credit to our school. A great day had by all and a big thank you to all the support staff that attended.